Christmas may not always be a wonderful time for everybody, but Knicks player Carmelo Anthony made sure it was enjoyable for one family. 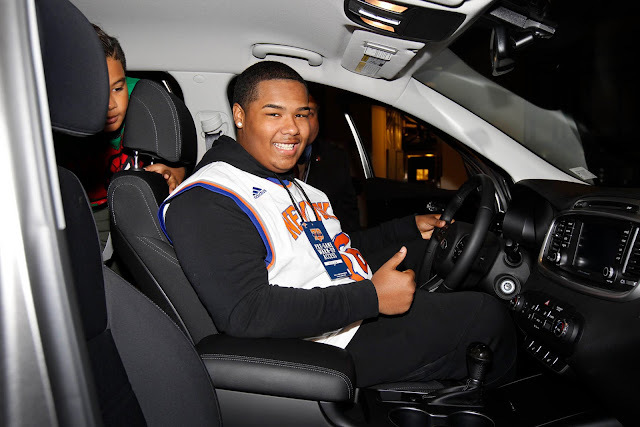 On Christmas Day, Anthony, along with Kia and his foundation Garden of Dreams surprised 17-year old Jarell Lara with a brand new car, just hours before his basketball game against the Celtics. Lara was diagnosed with Langerhans cell histiocytosis, a rare form of cancer that can damage tissue and is more often found in children. Earlier this year, he completed 18 months of chemotheraphy treatment, and the cancer is in remission. "I don't think you can put that in words," Anthony said. "That is a family that I have gotten a chance to know. My foundation donated a car to them, working with Kia [and the Garden of Dreams]...and just to see the expression on their faces, the son, one of the kids wanted to cry but held it in...that is what it is all about." Jarrell's parents gave up their jobs to care for their son. The back doors of their old car didn't open, forcing their kids to hop over the passenger seat to get in and out. "I thought someone was punking me," Jarell told MSGNetworks.com. "It hasn't sunk in. It's a blessing from God. 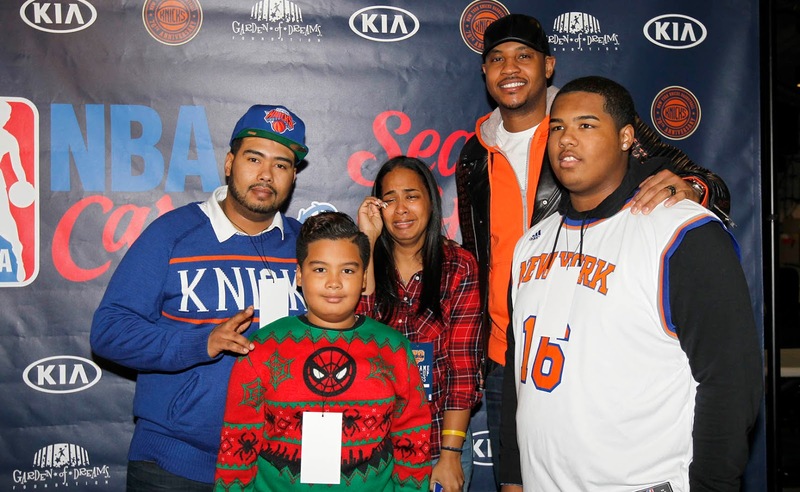 There are so many people Carmelo Anthony can help, and he chose to help me. It's the greatest Christmas you could ask for." Watch the video below and check out the full story here.